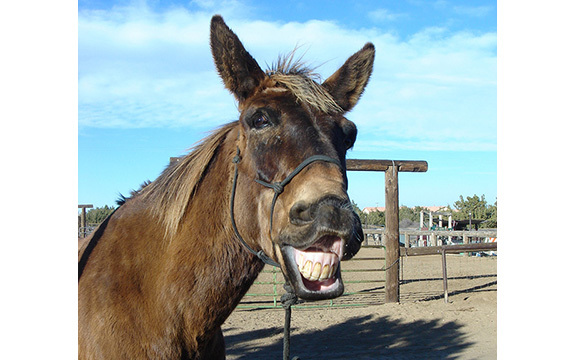 The Horse & Mule Are Working Us — Colin Dangaard, Inc.
Tobe Mule knows how to train humans. Chris Cox, the world renowned clinician, was about to say “I do” at one of his marriages 15 years ago, when suddenly his favorite Quarter Horse Stinger reared up behind him, severely interrupting the ceremony. The horse had been brought along as a kind of best man. Horses kick the stall when they want to be fed. They will look at you, then look at their side when they have a belly ache. They run off when you even touch a halter, if they are having issues with you. There are hundreds of gestures horses make to get our attention and tell us something. Scientists in Italy and Austria have published a massive study revealing equine cognitive abilities so powerful they insist the horse should join dogs, dolphins, reef fish and corvids as master manipulators of humans to achieve what they want. John Thompson, who breeds Australian Stock Horses in Bakersfield, California, has a stallion Coolaroo who is normally very quiet. So he was shocked recently when he heard the stallion calling loudly, while kicking at the barn wall. Julie Lee, also of West Valley Feed, says her horse makes eye contact with her, then flips the halter and lead rope, telling her when she wants to get out. Professor Ludwig Huber from the Messerli Research Institute at the University of Veterinary Medicine in Vienna, Austria,says his studies have surprised him as to how clever horses really are. He reports horses in many ways behave like people, with their referential gestures. If a person wants his empty wine glass full, he indicates the glass and engages a look with somebody who has the open bottle. Horses do the same with an empty bucket. Both scientists say more work is needed to determine to what extent horses manipulate each other, and if their methods in the herd differ to how they manipulate humans.